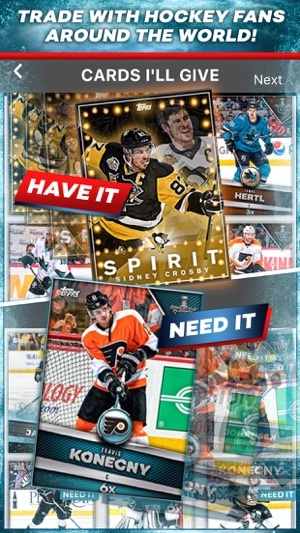 Topps® NHL SKATE™ '19: Hockey Card Trader is the officially-licensed digital trading card app of the National Hockey League (NHL®), National Hockey League Players' Association (NHLPA), and National Hockey League Alumni Association (NHLAA). YOUR OWN NHL HOBBY STORE! •Classic Topps meets the Digital Age: Relive the nostalgia of hockey card collecting and trading, all from your mobile device! •NEW cards releases every day! 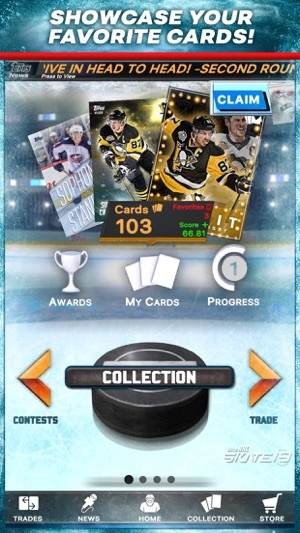 Collect your favorite NHL superstars, both past and present! •Dynamic consumer products: SKATE19 base cards, original artwork, classic Topps sets, live player signature cards, and more! 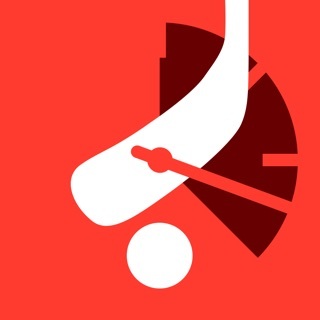 • Watch LIVE NHL games and compete in real-time contests against fans around the world! 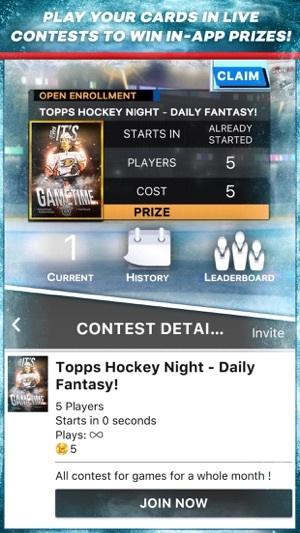 • Enter FREE contests and set your ultimate lineup with your best SKATE® player cards to win points, awards, prizes and more! 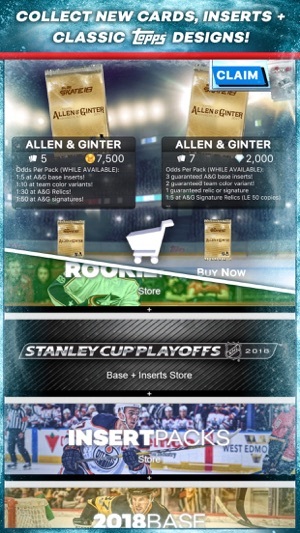 • Player cards reflect real-time NHL action – they score…you score! BECOME PART OF SKATE NATION! 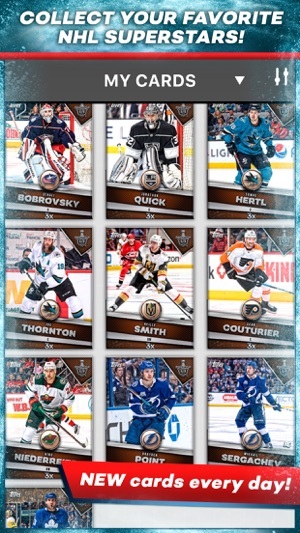 • Topps has the best community of hockey card collectors in the world. • Chat with fellow hockey fanatics in our Fan Feed and propose trades with up to 18 cards! After a year + of playing I am thinking of giving this up. I love hockey I love and breath hockey. However, when I save 500 k of coins waiting for one card or one team card to come out then 95% of the time don’t get it.... it starts to get frustrating. You rarely get cards you want , even if you save up. You can pay to get a better chance but it gets costly fast. Oh there are also diamond only packs (pay only) to get them. I rather pay initially for this app and get to enjoy it more , or have a 5 dollar a month thing even to make it both affordable, fun, and still supports a company . You will feel like you get something to start form the game then it just stops. No more progression without real money and even then you may not get what you want. We are sorry to hear about the frustrations you've had with Skate! We understand how frustrating it can become when you hit a streak of bad pack luck and can't seem to pull the card you're looking for. Of course, we encourage you to hit our Trade Feed and see which other fans you can trade with to help our your collection. We appreciate the honest feedback and hope you give Skate another try, as we've got some exciting things up our sleeves for this upcoming season!